It’s been over a week since I lost my aunt, my mother’s sister, who was pretty much like another mother to me. She’s always lived really close to us, so we were either over her house or she was at ours. Her sons, my cousins, have always been like brothers to me, and she always treated my sister and I like the daughters she never had. Our family is tight, so losing her is like losing a major piece to a puzzle that will forever be incomplete. One thing I loved most about my aunt was her positive spirit. I can count on one hand the times I’ve seen her really mad or upset. She was always happy, always smiling, always laughing, and just had a very optimistic outlook on life. You could talk to her about anything, and she always had a positive take on it. Despite any challenges she faced, she never let them hold her back or impact her mood. She was very social, and loved to attend all sorts of events, and made a point to do so, no matter how she was feeling. She was always so inspiring, happy, spirited, and fun to be around. My aunt was one of those people who was an incredibly hard worker and a natural born leader. She began her career in education as a history teacher, but encouraged one of her friends/colleagues to pursue a math teacher certification with her. 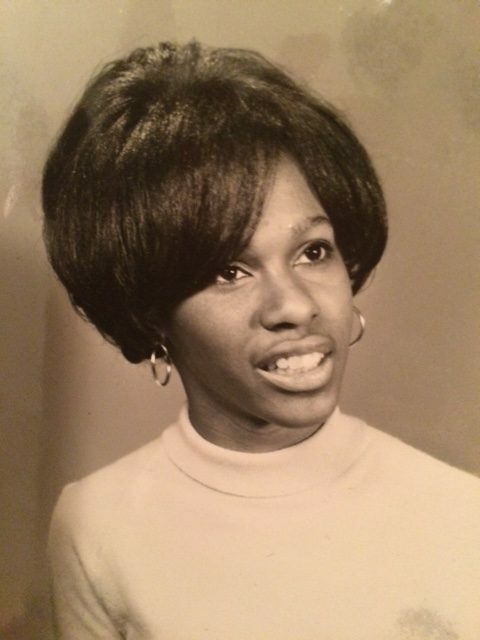 She later went on to pursue certification to become an assistant principal, then a principal. I remember meeting teachers at her various schools who would rave about her leadership, her strong work ethic, her mentorship and her guidance. I always admired her strong and capable, confident and firm, pleasant style of leading others. And I also admired her dedication to her students and faculty. She often started her day at 6 am and didn’t get home until midnight, just to do it again the next day. Outside of work, she was very involved in community, as well as her sorority, Alpha Kappa Alpha, Inc.
My aunt was brilliant, and a math whiz. Math is not one of my strengths, so I always struggled with it in school. But she tutored me, in a very patient manner, helping me to understand the problems and work until I got them. She assisted me with learning the math I needed at various levels of my education, and helped me get into the best middle and high school in Philadelphia, as well as prep for my PSATs and my SATs. There is no one I know who had a greater knowledge of history than my aunt. She was a major history buff and very well-versed in current events and politics. Whenever we played family games consisting of some sort of historical trivia, she always had the right answers. She could run down names, dates, and the entire span of the events. It was like listening to an encyclopedia come to life! But in an engaging and interesting way. She also loved to talk politics, and enjoyed a healthy debate. I loved verbally sparring with her, as did others (in a lighthearted way, of course). And I always learned a new thing or two because she was on top of everything newsworthy. Even though I’m incredibly sad to lose my aunt, my memory of her is inspiring me to be a better person. I’ve always been one to continuously seek knowledge (via watching the news, reading newspapers and countless books), but thinking about how she embraced learning at every stage of her life, makes me want to learn even more. And I’d already embraced more positivity in my life, but remembering how her mood always remained pleasant, even while dealing with difficult situations, has inspired me to strive for even more positivity and optimism in my life, and to choose happiness every day. Life’s too short for anything else!